"Instead of dirt and poison we have rather chosen to fill our hives with honey and wax; thus furnisning mankind with the two noblest of things, which are sweetness and light". 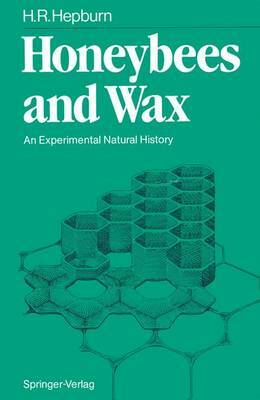 Mindful of Swift's dictum, this compilation is offered as an exhaustive coverage of a smallish literature on the synthesis and secretion of beeswax, its elaboration into combs and the factors which bear on the execution of these processes by honeybees. To codify any aspect of the biology of an animal of agricultural importance is to sift through myriad observations and experiments, centuries old, that come down to us enshrouded in the folk literature. It is evident that wars and languages have also acted as barriers to the dissemination of knowledge about honeybees. Thus, particular care has been given to the primacy of discovery and its con- textual significance. I have endeavoured to not over-interpret data and to allow the authors' works to speak for themselves. I have also tried to indicate some of the more obvious gaps in our knowledge of honeybees in relation to wax and to suggest some directions as to where we might proceed, aided by discoveries made on other animals and plants. This was done to remind the seasoned bee-hand of our general neglect of beeswax biology, historically constituting less than a percentage point of the apicultural literature.